WHICH IS BETTER FOR YOUR HEART: BEEF OR CHICKEN? Home/Blogs/WHICH IS BETTER FOR YOUR HEART: BEEF OR CHICKEN? The average American diet includes 8 oz. of meat each day, twice the world’s average, according to “The New York Times.” If you have concerns about heart disease, the number one health problem in the U.S., restricting your consumption of meat is important. Each time you make a choice between chicken or beef, ensuring you choose the right one may make an impact over time. Several nutrients in both meat types identify the healthiest one for heart health. Perhaps the most well-known nutritional qualities linked to cardiovascular health are saturated fat and cholesterol. The reason is that cholesterol and saturated fat clog arteries, which causes high blood pressure and cardiac arrest. A 3-oz. serving of beef provides 76 mg of cholesterol and 2.9 g of saturated fat. A 3-oz. 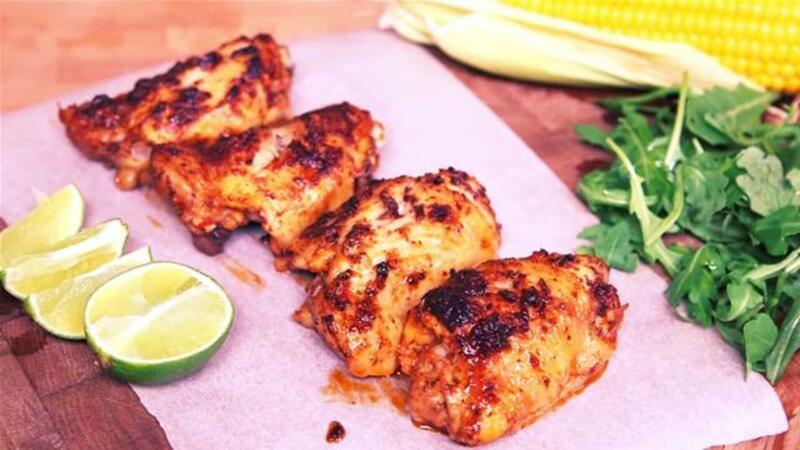 serving of chicken provides 73 mg of cholesterol and 0.9 mg of saturated fat. Chicken provides a lower level of artery-clogging nutritional factors. Calories contribute to weight gain, a risk factor for heart disease. A serving of chicken provides 142 calories, and a serving of beef provides 173 calories. Chicken is a more appropriate choice for a calorie-restrictive diet, but the difference is not significant. Monitoring the total daily caloric intake may offset including beef in the day’s dietary choices. Potassium supports the heart-pumping mechanism that pushes blood through the arteries. Without an adequate supply of potassium, the heart may skip or beat abnormally, also called an arrhythmia. A serving of chicken provides 220 mg of potassium. A serving of beef provides 214 mg. The amounts are similar and constitute approximately 6 percent of the 3,500-mg Food and Drug Administration daily value. Sodium is a mineral that regulates blood pressure. A diet that includes excessive sodium increases blood volume and elevates blood pressure abnormally, which can cause heart stress because the heart works harder to pump the extra fluid through the body. A serving of chicken provides 64 mg of sodium. A serving of beef provides 35 mg of sodium. Both amounts are low compared with the 2,400-mg total upper intake the FDA recommends. Both chicken and beef provide nutrients that support cardiovascular health. If you have to choose one, choose chicken because it provides fewer grams of saturated fat and cholesterol, and similar levels of other nutrients compared to beef. Meat and poultry are protein foods. Aim for 1–3 serves of protein foods each day (lean meat, poultry, fish, eggs, nuts and seeds or legumes). A serve of meat is about 65 g cooked, and a serve of poultry is about 80 g cooked. These sizes may seem small, but you can adjust the amount you have at one meal, if you keep in mind the number of serves across the week and the variety of other foods to include in a healthy diet. For example, you could have 130 g of cooked lean meat in your main meal 3 times a week. Then in the rest of the week you could include a variety of other foods like fish, chicken, eggs and non-meat options like legumes, nuts and seeds. Eating more than 455 g per week of red meat is linked with a higher risk of some cancers. That’s why it’s important to include a variety of other protein foods. Trim the visible fat off meat and remove skin from chicken. Be sure to serve plenty of vegetables with meat dishes. Try adding different herbs and spices or lemon juice or zest to different meats to enhance the flavours without using salt or butter. Add legumes (beans, peas or lentils) to stews, curries or casseroles to stretch out the meat or poultry. It’s also a way of adding more vegetables to your main meal.